When you invite an adorable Boxer pup or an energetic adult Boxer into your home, you will want to do your best to care for them properly. Choosing the best food for boxers is a big part of this. If you select a food with plenty of high-quality protein and some easy to digest carbohydrates, you will soon have a happy and healthy dog. The best dog food for boxers avoids ingredients that trigger allergies and digestive problems. It is a difficult choice because there are so many options and your vet is always the best person to advise. To get you started, we’ve put together an easy-to-understand guide to the best dog food for Boxers. Based on roasted bison and venison, there’s loads of easily digested protein in this nutrient-dense boxer dog food. 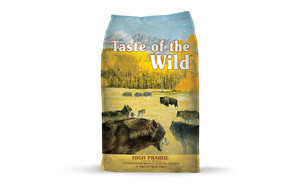 It is produced right here in the US by a family-run business to the highest standards of pet food safety. Because real meat is the primary ingredient, it has just the right amino acid profile for your Boxer to build lean muscle. Thanks to the added superfoods such as sweet potato and peas, it also contains all the vitamins, minerals and antioxidants that a healthy dog needs. It contains probiotics to support a healthy digestion and omega oils for a healthy coat. 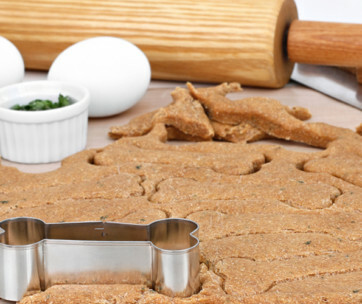 To help avoid any allergies or adverse reactions, the recipe contains no grain or corn and no fillers of any kind. It also contains no artificial additives. This best dry dog food for boxers is made from a very simple recipe and contains only a very limited number of ingredients. This makes it very suitable for dogs that have food allergies and sensitive digestions. It is made with a single source of animal protein which in this variety is salmon although duck and lamb varieties are also available. 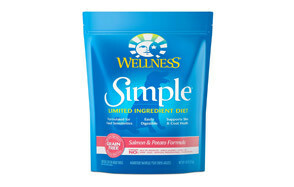 Added to this main protein source are canola oil, tomato pomace and a carefully balanced blend of vitamins and minerals. It also contains probiotics to promote a healthy digestion and flaxseed for healthy skin. More importantly, there are absolutely no meat by-products and dairy products that could trigger reactions. There is also no corn, soy or wheat and there are no artificial additives. 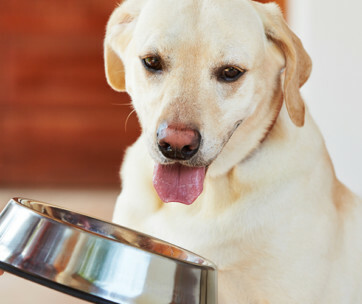 This food contains at least 34 percent protein so you know that it will be doing your dog good. It also has at least 16 percent fat to give them plenty of energy. Deboned turkey, chicken meal and turkey meal are the main ingredients and to these are added plenty of healthy carbohydrates including sweet potatoes. The recipe is packed with super foods including kale. It has been formulated for adult dogs and has plenty of micro-nutrients to support overall health. There are omega oils for a healthy coat and these are provided by salmon and flaxseed. It also contains antioxidants, glucosamine and probiotics. Just as importantly, the recipe has no corn, soy or wheat and no meat by-product meals which can trigger allergies. There are also no artificial additives which have been known to cause digestive issues. Perfect for muscle development, this recipe delivers 34 percent per cent protein which is based on high quality sources – deboned duck, chicken meal and fish meal. There are omega fatty acids and plenty of vitamins and minerals. Included in the recipe are plenty of wholesome fruits including blueberries and cranberries and there are easy to digest carbohydrates (peas) to provide plenty of energy. A carefully designed balance of Omega oils is included to promote a shiny coat and healthy skin. The dry food has a unique blend of antioxidants, vitamins and minerals which will support a strong immune system. To prevent adverse reactions and allergies, the recipe contains no poultry by-product meal and there is no corn, wheat or soy. Also, there are no artificial flavors or preservatives. Your boxer will get plenty of protein from this dried dog food for Boxers which comprises 38 per cent protein and 20 percent fat. More than 85 percent of the total ingredients are made up of poultry, fish or eggs. The remainder is supplied by vegetables, fruits and botanicals. The protein sources in this best puppy food for Boxers are high quality and include deboned chicken and turkey and flounder. It also contains whole eggs. 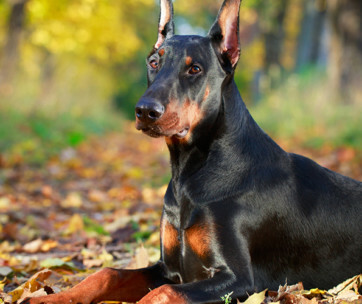 There are omega oils for a healthy coat and skin and chondroitin for joint health. To help your Boxer’s digestion, there are also probiotics such as Lactobacillus. Because this is the best dog food for Boxer puppies, it contains no grains or tapioca as fillers. 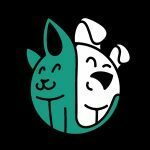 This is a grain-free dog food (dry) made from a simple recipe that contains a limited number of ingredients so it is suitable for dogs with food allergies. The recipe is based on the protein and carbohydrate obtained from sweet potato and fish. The sweet potato provides a potassium-rich and easy to digest source of energy. 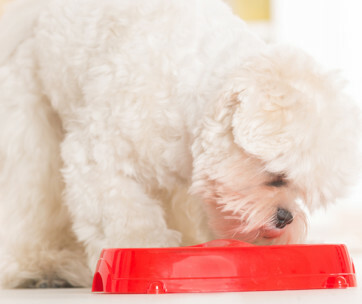 The fish is a high-quality source of protein that will help your dog to build strong muscle. It also delivers all of the essential vitamins and minerals they need for overall health and vitality. There are omega oils for a healthy coat but there is no grain and no fillers of any kind. There are no artificial additives. A wet chicken-based dog food that contains 8 percent protein and 4 percent fat. It has been formulated specifically to support a healthy digestion. Therefore, there are no grain or soy ingredients and no potatoes. To help with allergies, the recipe is based on a single source of animal protein which is chicken. There are plenty of added vitamins and minerals to promote overall health. These include zinc amino acid complex, vitamin D3 supplement and Thiamine Mononitrate. 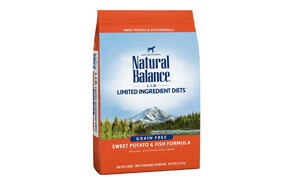 A premium dog food made with high quality ingredients to promote a healthy coat, healthy skin and general well-being. It contains only the best proteins (23 percent) provided by chicken meal. It is a dried dog food that is suitable for all life stages. It is packed with vitamins, minerals and antioxidants to support a healthy immune system and has omega oils to maintain the quality of your dog’s coat. The avocados in the recipe provide more than 20 vitamins, minerals and phytonutrients. The recipe also contains 13 percent fat for energy and 4 percent crude fiber to support a healthy digestion. Formulated specifically for Boxers, this food is made with a defense system that has been designed to reduce tartar. It contains a minimum of 25 percent animal protein which is provided by chicken by-product meal. This ingredient supplies chondroitin and glucosamine which are needed for healthy hip joints. It also contains L-Carnitine and taurine for heart health and plenty of minerals for healthy bones. It has been specifically formulated to meet the nutritional needs of Boxers. This wet dog food is specially formulated for dogs who are prone to food sensitivities. It is made with just five key ingredients so you know exactly what is in it. In the fish flavor, farm-raised fish is the main source of protein. It has a total of 7 percent protein. The other main ingredients are sunflower oil, whole and dried potatoes, guar gum and carrageenan. It provides all the nutrients and vitamins and minerals that your dog needs. Importantly, it contains no chicken by-product meal, no corn, wheat or soy and no artificial additives. There are also no GMO ingredients. 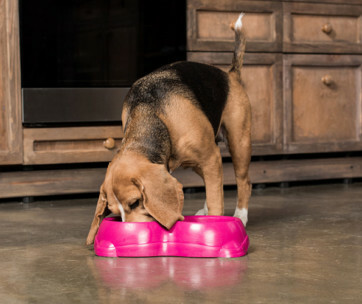 When you are choosing the best dog food for Boxers, there are a few key ingredients that you should look out for. Get into the habit of reading ingredients lists. Remember that they are always in weight order so the first ingredient is the one that is present in the recipe in the greatest quantities. Your Boxer needs a high quality source of animal protein. Look at the protein content. Ingredients like fish and deboned chicken are excellent options. This is the nutrient that produces energy so it is an important ingredient for Boxers. Look for high quality carbohydrate ingredients such as sweet potatoes and peas. Cheap fillers will load your dog up with calories but will not give them what they need. Both of these nutrients are needed in small quantities. Ingredients such as avocado and flaxseed are excellent sources. These will be found at the end of the ingredients list because they are present in such small quantities. However, they are vital. Look for calcium, omega oils, taurine and chondroitin in the best dry dog food for boxers. Boxers must be given a high-quality dog food that is appropriate for their age. You have to be especially careful with the diet of large breed pups like the Boxer so always buy a food that is made just for them. Your vet will be able to give you further advice on choosing a good dog food for Boxers. Choosing the wrong food can result in growth that is too rapid and that puts a strain on the joints. Some adult Boxers are prone to being overweight, this is a particular issue if they are not getting enough exercise. Therefore, make sure that you follow the feeding guidelines supplied with the food. However, you also need to keep a close eye on their weight and your vet can help you to do this. If your dog is struggling on just one meal a day, you could split it and feed one half in the morning and one half in the evening. If you use food treats for training, remember that these need to be taken off your dog’s total permitted calorie intake for the day. Boxers need a constant supply of clean, fresh water either in a bowl or from a pet fountain. Boxers are large and energetic dogs that thrive on a diet that is high in protein. They also require micro-nutrients to support their joint health and to help them stay alert. This is true whether they are working as guard dogs or having fun with their human companions. Here are the main elements that you should include in your Boxer’s diet. High-quality protein sources are needed to help your Boxer build strong and healthy muscle that will keep them agile and powerful. Whilst it is possible to obtain protein from meat sources or plant sources, the amino acids in meat are more readily available and beneficial for dogs. These are what the body uses to create energy and Boxers need a lot of energy! They need a carbohydrate source that is easy to digest and foods such as sweet potato are ideal. All Boxers need fats because they are vital for their metabolism and also provide energy. The best foods have around 5 percent fat content. Micro-nutrients. Boxers need a range of vitamins and minerals to maintain optimum health. Omega oils are important for the skin and coat and antioxidants are vital for their immune system. Boxers can be prone to digestive issues so any ingredient that helps to support a healthy digestive system is a bonus. It’s a good idea for your Boxer’s diet to include cultures of friendly bacteria such as Lactobacillus. These help them to digest food efficiently. There are three further elements that can be particularly beneficial in a Boxer’s diet. Calcium is a mineral that is very important for active dogs like the Boxer. It is essential for strong bones but is also important for helping the muscles work correctly. It helps with muscle contraction and this includes the heart muscle. When your Boxer runs around, their heart needs to contract strongly and quickly to get enough oxygen to all parts of the body. Calcium in the diet makes this possible. L-carnitine is another important micro-nutrient. It is involved in the transportation of fatty acids by the mitochondria. These are the energy-builders of your dog’s cells and they work hard in an energetic dog like the Boxer. Finally, your Boxer needs Taurine which is needed for brain development and for efficient heart function. When you are looking for the best food for Boxers, there are some ingredients that it would be best to avoid. This does not mean that they are actually toxic for Boxers but your dog will be healthier without them. Boxers can have very delicate digestions and are prone to food allergies so foods that have just a few high-quality ingredients suit them best. Beef may seem to be a good source of protein but it contains a type of protein that often triggers allergies so it may be best to avoid it. Also, meat by-products are an ingredient to avoid. You will not know exactly what is in it. It could be guts, hair or feathers and any of these could trigger a reaction in a Boxer. The term ‘cereals’ is not very informative so it is best to avoid it. It may be a type of cereal that triggers an adverse reaction in your Boxer but you’ll never know what it was and cannot avoid it in the future. Stick to the best dog food for Boxers with allergies that are very clear about what they have in them. This is a cheap ingredient and cheaper dog foods will contain it. However, for a Boxer, it is best to avoid it. It is used as a filler as it makes the food more bulky and it is a source of carbohydrates. That said, in the wild your dog would not be eating it. Corn can trigger allergic reactions in many dogs so it is best avoided. Again, in the wild your dog would not be consuming these and so their digestive system may not be set up to cope with them. They can trigger nasty allergic reactions and are best avoided. They are also not necessary thanks to modern food processing practices and packaging. Soy is sometimes included in cheap dog food because it is a cheap source of protein. It is a lot cheaper than meat protein but is not as suitable for Boxers. Many of them are allergic to it and it can cause intestinal upsets. Wheat is another carbohydrate that is used as a filler. It is a common allergen for dogs and one of the first things that vets eliminate from a diet when they suspect a food allergy. Wheat contains gluten and this often causes the problem. Look out for foods that are free from what. The Boxer is a generally healthy breed but they are prone to certain health conditions. They do not tolerate extremes of temperature at all well so always keep them inside when it is very hot or very cold. Buy your pup from a breeder that screens for hip dysplasia and heart conditions such as aortic stenosis and cardiomyopathy. They are also prone to certain cancers. Diet can play a part in helping these. A diet that has plenty of calcium (for adult dogs) and joint supplements such as chondroitin can help with hip problems. Antioxidants (found in super foods such as sweet potatoes) can help with cancer prevention. Boxers are also prone to digestive issues and food sensitivities. These can manifest themselves as the production of a lot of gas and Boxers are notorious for this! Diet has a huge role to play here. Inflammatory colon disease and food allergies are often the cause of rectal flatulence which is just the medical term for dog farts! The first thing you need to do is cut out table scraps completely. Human food can cause all sorts of intestinal issues in Boxers. Then look for a food that has a limited quantity of ingredients so you will know exactly what it has in it. You need the best dog food for boxers with gas which will have a high-quality meat source; chicken or fish are ideal. Peas are a great source of carbohydrates for dogs with this problem as they provide fiber and are very easy to digest. The most important thing is that your puppy gets a balanced diet that is suited to their age and stage of development. Boxer pups grow rapidly and, as they do, their calorie requirements will change. It is important that you take your pup for regular checks with your vet to make sure that they are gaining weight at the appropriate rate. Any Boxer puppy food that carries the AAFCO (American Association of Feed Control Officials) logo and has a protein content of between 22 and 30 percent and a fat content of between 9 to 15 percent is fine. However, also check out the calcium to phosphorus (Ca:Ph) ratio which should be 1:1 up to to 1:3. The overall calcium content needs to be tightly controlled and should be around 3g per 1,000 kcal of puppy food. Always check with your vet if you are not sure. In terms of wet or dry food, this is really up to you. Smaller breed puppies nearly always need wet food when they are younger but larger breeds like Boxers will be fine eating dried dog food. You may need to moisten it with a little warm water when they start off on it. They must have fresh water. 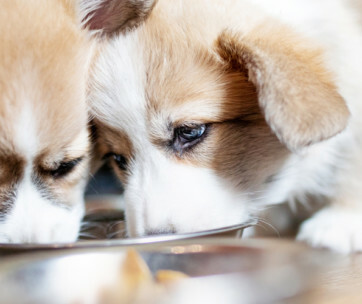 If your pup becomes ill, and especially if they are dehydrated, it would be a good idea to switch them to wet food for a while because it has such a high moisture content. Our pick of the best dog food for boxers is based on roasted bison and venison so it has loads of easily digested protein. Real meat is the primary ingredient so it has just the right amino acid profile for your Boxer to build lean muscle. There are added superfoods such as sweet potato and peas and a balance of vitamins, minerals and antioxidants. It contains probiotics and omega oils but has no grain, corn or artificial additives.